My kids go back to school today which means that I will be busy. Back to school means back to practice. We will have to rush home from school to do snack, homework, and then rush off to practice and come home late in the dark and the cold. We will need to have something simple for dinner in order to get everyone showered and ready for bed to do it all over again tomorrow. I don’t know about your family, but after long breaks from school my kids have a hard to readjusting to their routine. So I know this week will be hard. Which is why I have made sure to plan our meals for the week. Tonight we will be making this delicious and simple meal from Life Made Simple Bakes. 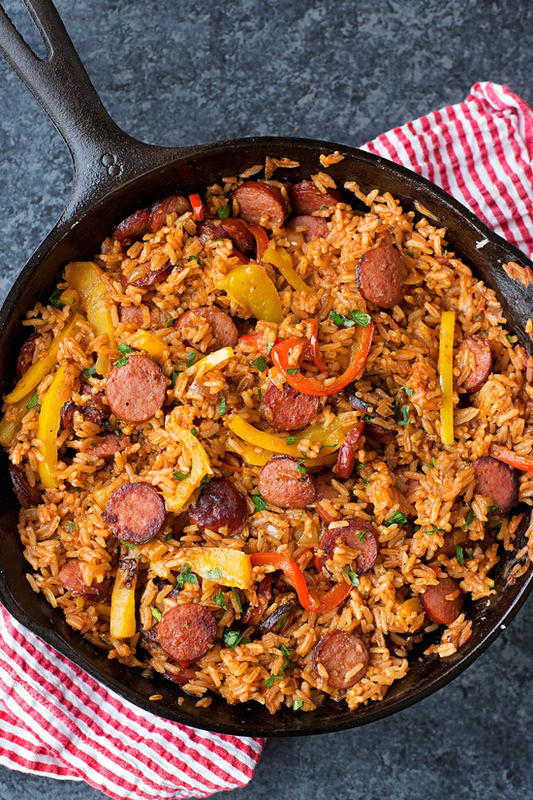 This skillet meal will make sure we we eat well without taking forever to cook. I love the recipe because it is simple, but also because I can alter it to fit my needs. Since we will be arriving home late I do not want to cook rice. Instead I will substitute instant rice, my kids love wild rice and I find it is best to use meals they love when reintroducing them to a rough schedule. So I will sub wild rice to make it not only faster to cook but also more enticing to my kids who will already be tired, cold, and grumpy after an hour long practice in near freezing temperatures. Life Made Simple Bakes for giving me a meal that will make at least one thing a little easier! Be sure to head on over to see the full recipe! This entry was posted in Food & Recipes and tagged food, life made simple bakes, quick meals, skillet meals, the boys store, weeknight meals on January 7, 2019 by Lacy. It is FINALLY cold here on the west coast, and that means that we are ready for winter meals. I love a hearty soup or stew on a cold winter night. Sometimes soup can feel like it isn’t a hearty enough meal. So I try to choose soups that will have a higher protein count in them. We love Italian soups like Minestrone, Zuppa Toscana, and Sausage Potato and Kale Soup. This year I wanted to add a new soup. A friend of mine told me about a blog she had recently read with a Lasagna Soup. My family loves Lasagna. However, I really don’t like any of the premade ones for sale — and making it from scratch is not feasible on a weeknight. 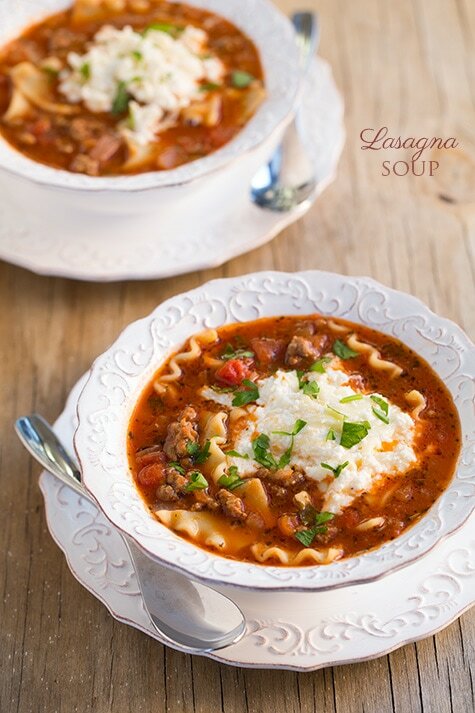 Lasagna Soup might just give me that lasagna taste without the work. So of course I ahd to check it out. Cooking Classy has a simple and fun recipe that is absolutely heavenly. I was able to make it on a tuesday, and I had enough left over to freeze and use another night. I simply left the noodles out that way when I thaw it the noodles are not soggy. Since noodles cook fairly quickly, they can be placed in the soup as it comes to temperature and boils. Now I can have my lasagna fix any day of the week, thank you so much Cooking Classy for helping this lazy Italian lover. Be sure to check out the other incredible recipes at Cooking Classy when you are their getting all the details for this wonderful winter soup.